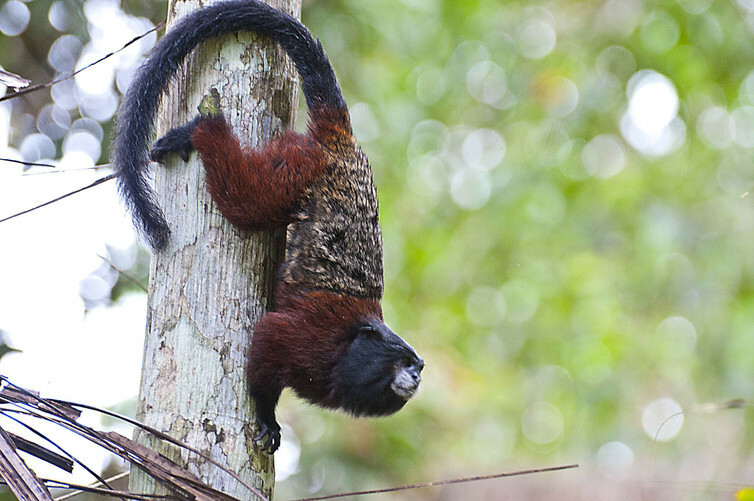 The “new world” monkeys of South and Central America range from large muriquis to tiny pygmy marmosets. Some are cute and furry, others bald and bright red, and one even has an extraordinary moustache. Yet, with the exception of owl and howler monkeys, the 130 or so remaining species have one thing in common: a good chunk of the females, and all of the males, are colour blind. This is quite different from “old world” primates, including us Homo sapiens, who are routinely able to see the world in what we humans imagine as full colour. In evolutionary terms, colour blindness sounds like a disadvantage, one which should really have been eliminated by natural selection long ago. So how can we explain the continent of the colour blind monkeys? I have long wondered what makes primates in the region colour blind and visually diverse, and how evolutionary forces are acting to maintain this variation. We don’t yet know exactly what kept these seemingly disadvantaged monkeys alive and flourishing – but what is becoming clear is that colour blindness is an adaptation not a defect. The first thing to understand is that what we humans consider “colour” is only a small portion of the spectrum. Our “trichromatic” vision is superior to most mammals, who typically share the “dichromatic” vision of new world monkeys and colour blind humans, yet fish, amphibians, reptiles, birds and even insects are able to see a wider range, even into the UV spectrum. There is a whole world of colour out there that humans and our primate cousins are unaware of. Yet while the eyes of insects and mammals look very different, they work in a remarkably similar way. Both capture and process electromagnetic waves reflected from objects or radiated from luminous sources. Both their eyes contain cells called rods and cones. Rods are specialised for low light levels, providing a sort of night vision. Cones are responsible for colour vision, balancing blue, red, and green to provide the perception of the visual spectrum of light. A problem in any cone type causes problems with colour perception. In the most common form of colour blindness, people have difficulty distinguishing red from green. Our colour blind ancestors may have found it tough to recognise when someone was blushing, for instance, or they may have had trouble choosing a ripe fruit or spotting snakes with colourful warning marks. Similarly, a South American primate might have difficulty identifying social signals such as the bright red head that indicates fitness in the bald-headed Uakari. 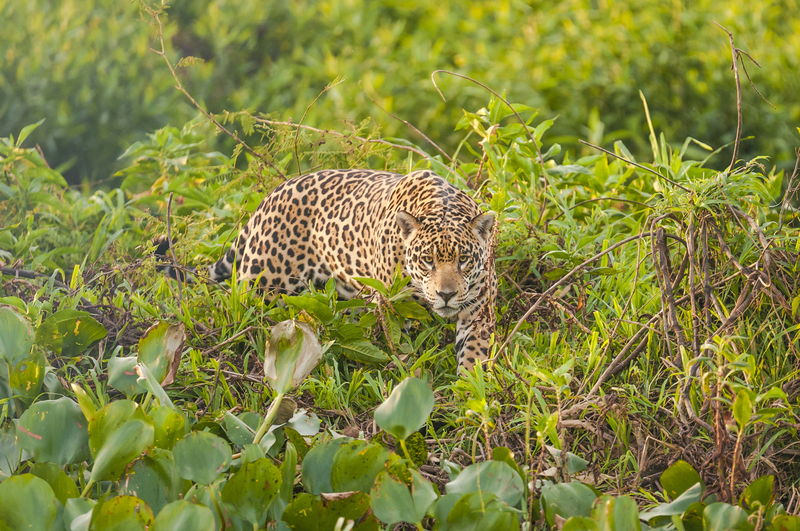 They may find it tough to identify ripe food or colourful threats such as an orange-furred ocelot or jaguar up against a green forest background. But colour blind vision might actually be an advantage in some situations. After all, colour signals can be overwhelming, leading us to pay more attention to colours than patterns. Predators can exploit this by using camouflage to ambush their prey, so the ability to spot a threat is significant. Colour blind people don’t have this same overload and are often able to see through the deliberate “noise” of coloured camouflage to spot the deeper patterns. During World War II, colour blind men were employed to break through camouflaged enemy positions and thereby spot possible targets for bombing. A certain colour blindness may also help create patterns as well as spot them: Vincent Van Gogh was able to create amazingly complex colourful patterns yet his palette shows a striking resemblance to defective colour vision. Low light also negates the advantage of regular eyesight. Even a trichromat won’t see colours in dim light conditions, such as in dusk or dawn, and this is a relatively bigger disadvantage for people – or monkeys – used to seeing the world in “full” colour. 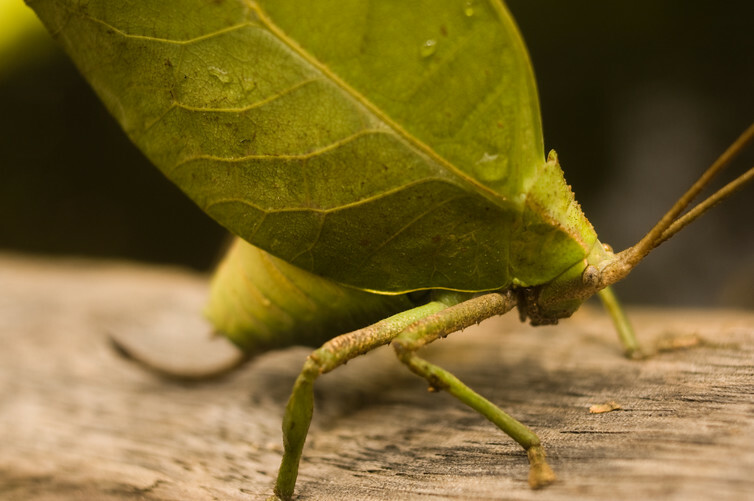 The ability to break camouflage and better vision under the dim light are accepted as advantages of a dichromatic colour vision. This is backed up by research at Belfast Zoo and in the wild at a research station in Peru’s Amazon rainforest, which found colour blind tamarins were much better than their trichromatic cousins at catching camouflaged crickets that tried to mimic bark or leaves. However, these factors alone do not explain the maintenance of new world monkeys’ colour blindness. While they explain that there are advantages in being dichromat or trichromat, it does not explain why individuals in the same group share both colour vision systems. This polymorphism in primate species is unique among mammals and clearly there are major advantages still to be discovered. The more I study this topic, the more I realise how curious primate vision is; for example, tetrachromatic people able to see “invisible colours” have recently been discovered. It’s thrilling to imagine which benefits of “defective” colour vision are still to be discovered. A mother rhino charged across a road and chased an elephant trainer up a tree as shocked tourists looked on, reports The Telegraph.